Romain Grosjean produced a strong drive to take fourth place in the Abu Dhabi Grand Prix from sixth on the grid, whilst Kimi Raikkonen's race ended in retirement following contact at the first corner. A flying start from Romain saw him jump two places to fourth position through the opening series of corners; settling in behind the third-placed Red Bull of Mark Webber until the first round of pit stops. Kimi meanwhile saw his evening curtailed after just a few hundred metres; a clash of wheels with Caterham's Giedo van der Garde resulting in a broken track rod on the Finn's E21. Kimi retains third place in the Drivers' Championship on 183 points; 34 behind Fernando Alonso in second. 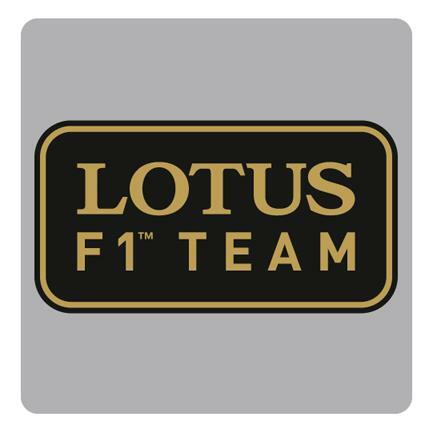 Romain remains in seventh position with 114 points; trailing Nico Rosberg by 45. The team remains fourth in the Constructors' Championship on 297 points from Ferrari's 323, with third spot remaining a firm target heading into the final two races of the season. Kimi started from twenty-second on the grid with a new set of medium tyres, having been excluded from his P5 qualifying slot due to a technical infringement on his E21. He retired on the first lap after contact with Giedo van der Garde at Turn 1 which broke his right-front track rod. Romain started from sixth on a scrubbed set of soft tyres, having been promoted one position on the grid as a result of his team-mate's penalty. The Frenchman pitted on lap eight for new mediums, and again on lap thirty-seven for a scrubbed set of the same compound. In his pursuit of the final podium position, Romain set the third fastest lap of the race on his penultimate lap; underlining the pace of the E21 here at the Yas Marina Circuit. Kimi Raikkonen: "There was some contact in front of me through the first corner so I stuck to the inside, but unfortunately one of the Caterhams touched my front wheel and it broke the track rod. It wasn't a heavy impact, but the angle made it worse. It's never easy starting so far back on the grid, but after the penalty it was a better choice to help our chances in the race rather than starting from the pit lane. After a difficult start to the weekend we did well yesterday so it was a shame we couldn't start where we qualified, but these things happen sometimes; it's just back luck." 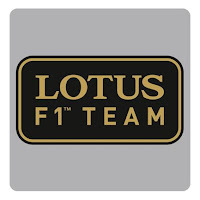 Romain Grosjean: "That was a pretty long race. I got a good start and made up two places in the first few corners, but after that I lost a lot of time behind the Force India. I could overtake him with the DRS, but he had much better top speed and could just drive straight back past at the next straight. That middle stint cost us the chance of a podium in the end, and on pace we could maybe even have pushed Mark [Webber] for second place, but that's how it goes sometimes. It's a shame we couldn't make it four podiums in a row, but to come away with fourth place after a difficult couple of days is a decent result." Eric Boullier, Team Principal: "It's been a difficult weekend for the team, but we can be pleased with the fact our car has once again shown strong pace at another different circuit. After the misfortune of his qualifying penalty it was always going to be a tough race for Kimi. Starting at the back with a faster car always puts you in a tricky position, and in the end it was bad luck once again that saw his race end on the first lap; for the first time since 2006 I believe. Romain drove a very mature race to narrowly miss out on his fourth consecutive podium, which on another day and without his issues in qualifying would certainly have been within reach. We have some work to do if we are to achieve our target of third place in the Constructors' Championship, so our focus must now be on returning to the podium in Austin." Alan Permane, Trackside Operations Director: "We came into this weekend anticipating another podium challenge, but unfortunately circumstances have ultimately conspired against that happening. Having already been stripped of his best qualifying performance since Germany, Kimi's race was cut short on the first lap after a tangle with one of the Caterhams, bringing a disappointing end to a weekend where his pace had been much improved. It was a trouble free race for Romain by contrast, who drove well to take fourth place. His progress was quite heavily hindered by traffic midway through the race and we didn't quite have the pace to challenge [Nico] Rosberg in the closing stages, so realistically he achieved the best possible result on the day. What's especially pleasing is that he's gone from being labelled a ‘first lap nutcase' to consistently gaining positions away from the line and through the opening sequence of corners at each race. We now head to Austin where we'll be working hard to make a return to the podium." Ricardo Penteado, Renault Sport F1 Team Support Leader: "Romain did a great job today to finish just outside the podium places. Again he managed the engine and fuel consumption well so we could turn up the engine modes when we needed to push and he came away with some valuable points for the championship battle. Unfortunately Kimi stopped early, but it's always a risk when starting from that position. We'll keep it focused for the final two races though and try to get as many points as we can to finish the V8 era on a high."